Buying Home is culmination of a dream which we cherish for most of our Life. 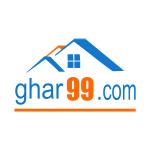 We at “Ghar 99” wish to help you Live your dream in your dream home. Getting you your dream home is a mission for us. We would like to understand your specific tastes and preferences along with your budget.